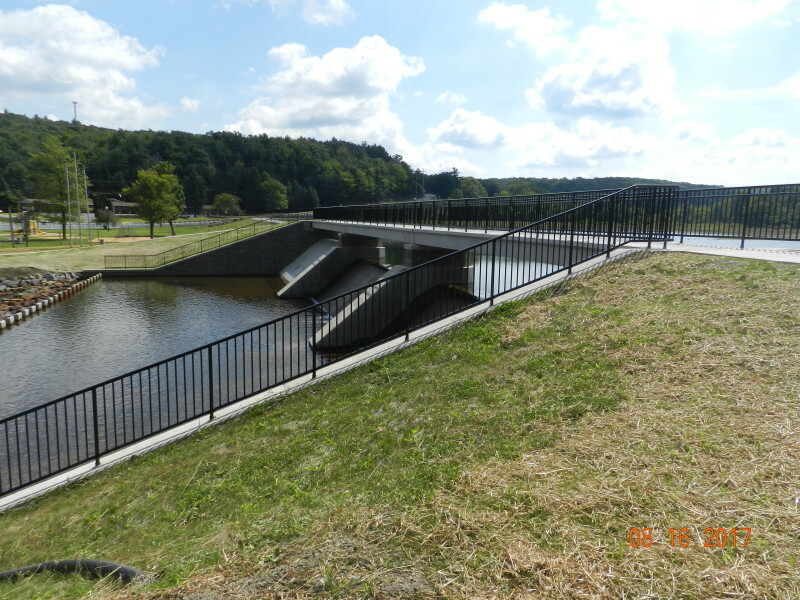 Cold Stream Dam is a recreational dam located along Cold Stream on the border of Philipsburg Borough and Rush Township. The structure is an earthen dam which impounds flow at the head of Cold Stream. The impoundment is widely utilized by the local population for fishing, hiking, biking and the location of the local amphitheater and playground. The dam was deemed an unsafe structure by the PA Department of Environmental Protection because the spillway structure did not meet current capacity standards. 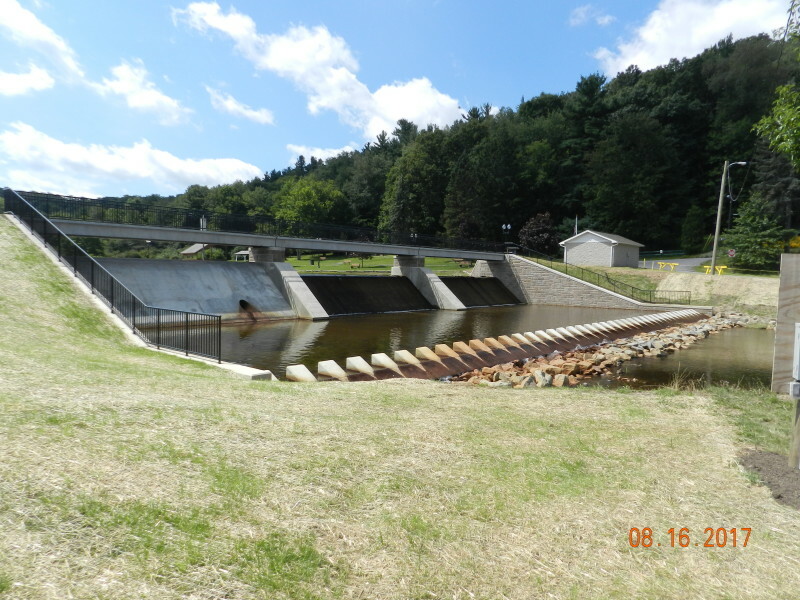 In order to maintain the permits necessary to operate the dam and prevent removal, the Borough completed a restoration project to ensure structure longevity. 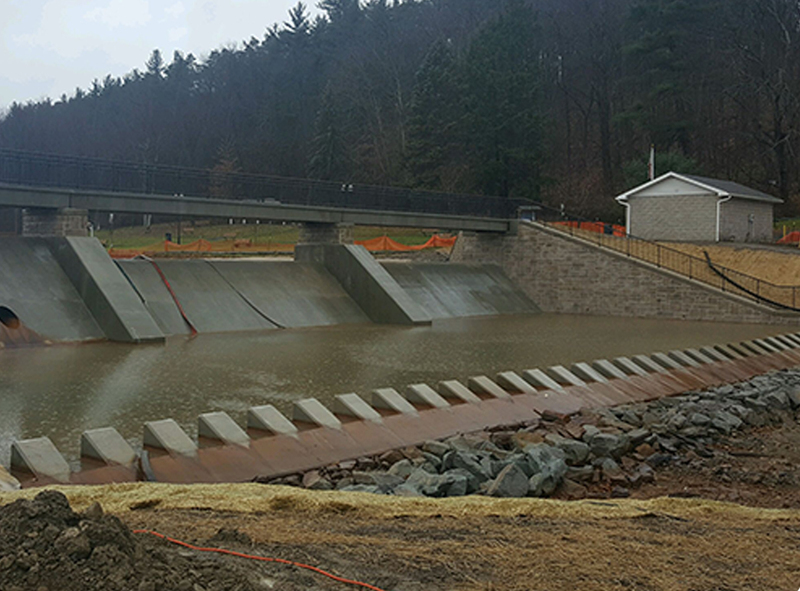 This included replacement of the spillway structure as well as restoration of the earthen embankment along the crest of the dam. The construction activities brought the dam into compliance with all current state and federal safety standards. Prior to construction, all necessary state and federal permits were secured. 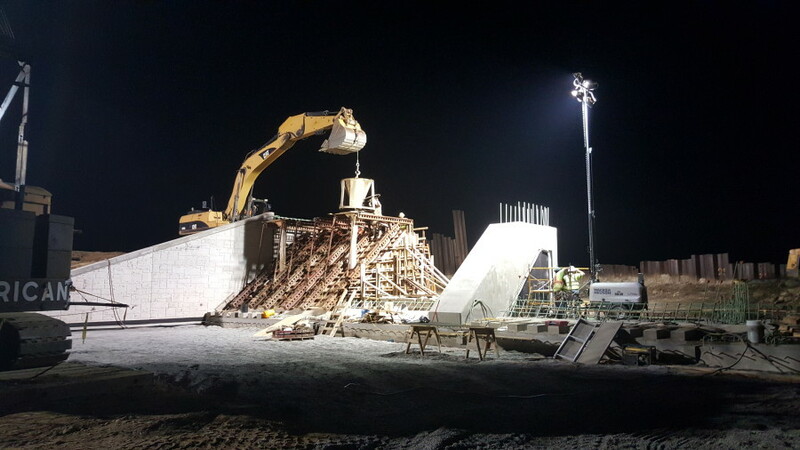 The spillway structure is 132 feet long and includes a three span prestressed concrete pedestrian bridge and walkway on the dam and aesthetic architectural treatment on the cast-in-place abutments and wingwalls.